White Stuff's Isla long sleeved modal jersey tee is a versatile addition to your wardrobe. Soft to the touch, this printed top features a notch neck, and crochet and gathered detailing. White Stuff's Isla long sleeved modal jersey tee is a versatile addition to your wardrobe. Soft to the touch, this printed top features a notch neck, and crochet and gathered detailing. 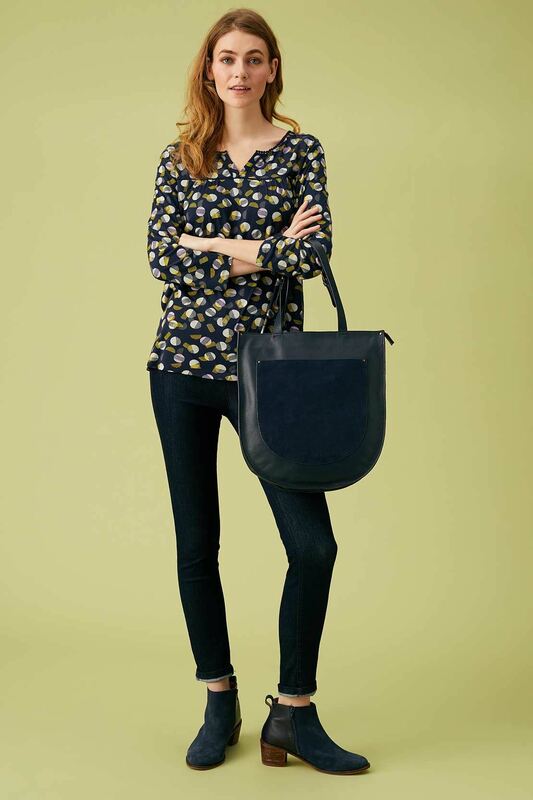 Its roomy trapeze silhouette makes it easy to wear and looks great with skinny jeans and flats.